We are a family-owned business that loves to serve the people of Denton, and we do in many ways. Through our business, we ensure that our customers have the latest in high-quality, state-of-the-art business communication and phone systems. Click here to learn more about our products. We also love to serve Denton through philanthropy. CASA of Denton County holds a special place in our hearts and we have served that organization faithfully for the last 14+ years. TRT is proud of its service to our customers and community. If you would like to learn more about how we can help you, please contact us. We have supported Denton County’s Court Appointed Special Advocates (CASA). CASA trains and supports passionate adults who fight for a child’s right to be safe, to be treated with dignity, and to learn and grow in the security of a loving family. CASA volunteers are screened, highly trained and then appointed by judges to represent and advocate for a child’s best interests in the child protection system. CASA volunteers are each assigned to help one child or set of siblings at a time, so they can focus on giving that child or sibling group the individualized advocacy and attention they need. CASA volunteers save taxpayers money and children’s futures by helping children find a safe, permanent homes as soon as possible. 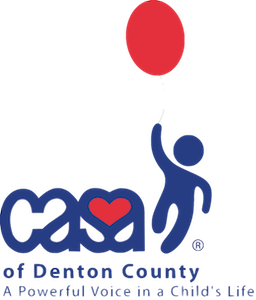 Click here to learn more about CASA of Denton County. Working in partnership with other local businesses, TRT worked to upgrade the single-line phone at the Fred Moore Day School to a modern multi-line phone system. The Fred Moore school serves pre-school-aged children of low- to moderate-income families in Denton by delivering a positive and quality early childhood educational experience. Resulting in school readiness and positive educational outcomes for children and opportunities for improved economic outcomes for parents. Click here to read the article in the Denton Record Chronicle.